Admittedly, in this day and age we are a generation obsessed with the latest gadgets and gizmos. From the latest in gaming consoles all the way to cutting-edge mobile devices, we are hooked not only the Internet, but on technology in general. Despite the prevalence of websites and the apparent ease of designing them, web developers spend long days and nights creating functional and appealing web designs. Not only that, but they also have to code, work out bugs in their designs, and find ways to make their sites better than before. Luckily for them, there are tools out there that allow those tough tasks to be a little bit easier. There are plenty of web-based apps and tools for both the novice and veteran web developer to use while on their journey, and today I’ll share a few of them. Using the right type for your website is just as important as the graphics and colors chosen. Typetester makes the job of the web designer a lot easier as its sole function is to output side-by-side comparisons of chosen fonts with your desired customization. Sometimes, simplicity is better than glitz and glam, and CSSDesk proves it. Focusing only on HTML and CSS, this editor is great for the beginner. You are able to see what your code is doing by using the live preview window, which makes spotting mistakes easier. Being organized is important for everyone especially those who are developers. Trello offers an easy interface to keep your work organized. It even allows you to be collaborative, as you can receive real-time updates. Best of all, you can bring it with you on the go. For those who are new to web design, a program like Templatr can make life a bit easier while you are learning. This web-based app is a template generator that allows you to customize just about every single element, and once you are happy with your product, you can download it for use. Stylie is different from a lot of CSS editors out there in regards to animation, Stylie is a one of a kind. The web-based app allows you to easily create your own CSS3 animations. To use it, you simply configure your animation, tweak the settings, and then grab the CSS code. Along with cross-browser testing, it is important that web developers know how functional their design actually is. This often means determining whether or not it is mobile-ready. With ViewLike.Us, you can actually see how your site is going to look at certain resolutions, including those of the iPhone and Wii. When it comes to color scheme creation, you shouldn’t just readily dismiss the importance of its use. With ColorSchemeDesigner, you can do exactly as the name suggests, create your own color schemes and then export them into HTML/CSS format or several other options. Using custom filters with your work can distinguish you from the other web designers out there. With CSS FilterLab, you have the opportunity to experiment. The online playground allows you to manipulate the HTML of both color and shape by adding animated effects like twist and flip. 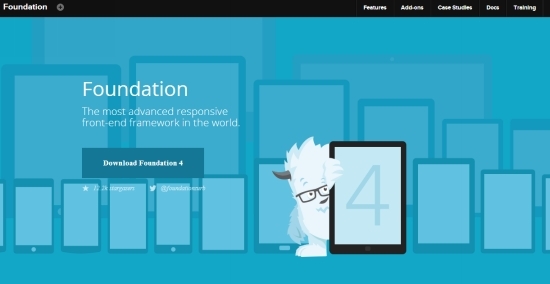 The new Foundation 4 is perfect for those who do a lot of front-end coding. 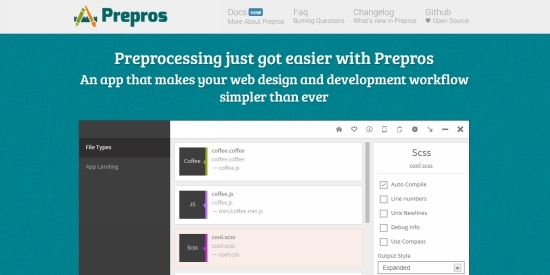 The framework allows you to designquickly and responsively. It features several useful tools including a flexible grid, rapid prototyping, and multi-device mobility, not to mention the predesigned HTML templates available. If you need to create quick mockups, then Moqups is the tool for you. As an HTML5 app, this allows you to create mockups for everything from UI concepts to wireframes. The interface is designed for easy use and execution to make designing fast and simple.